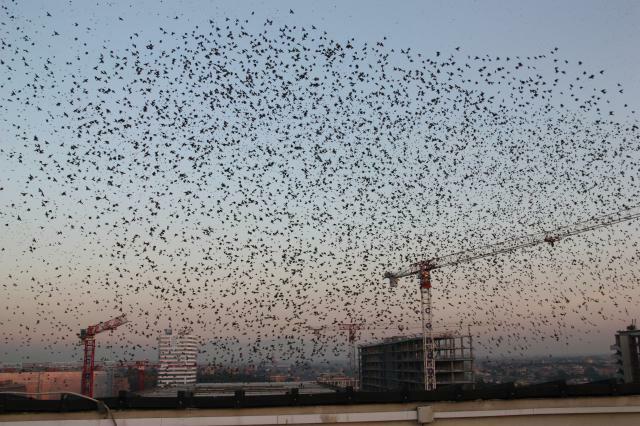 Starling flocks in Rome can be observed starting from middle to late November until the beginning of February to the beginning of March, depending on the weather and temperature during the winter. 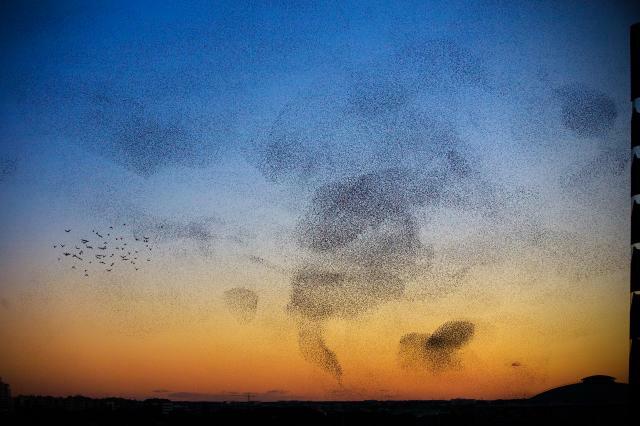 They aggregate at dusk while travelling from the country side surrounding Rome into the city to roost. 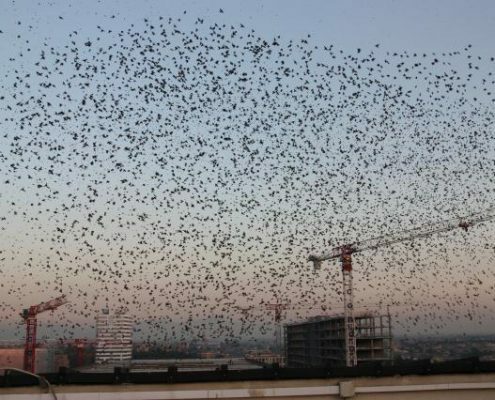 Roosting sites are scattered throughout the city including Cimitero del Verano, Laghetto dell’EUR, Termini, and near Circo Massimo. Some of the most impressive and large aerial displays (see video below) can be seen in the first two listed locations. Due to logistic issues, we have only been able to access two locations, Termini and EUR. 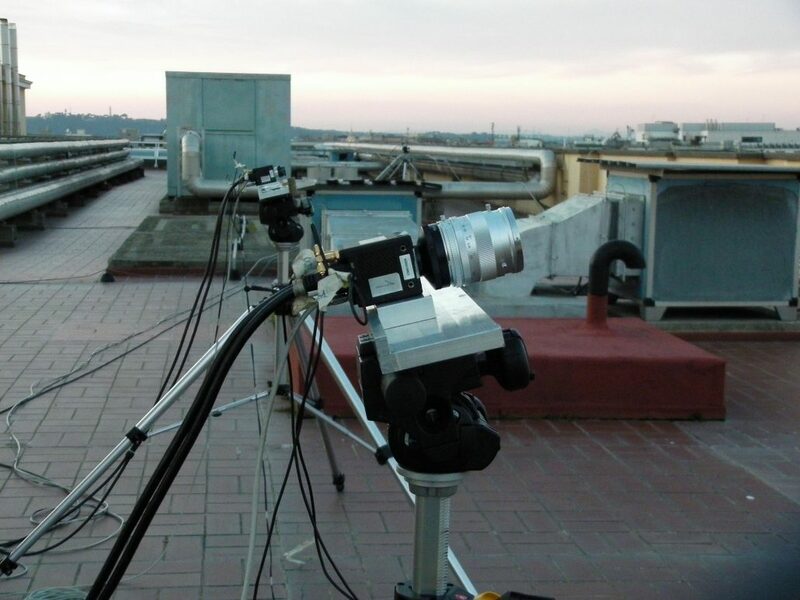 In Termini, we setup our camera system on the roof of Palazzo Massimo overlooking the square occupied by the Termini bus stop. 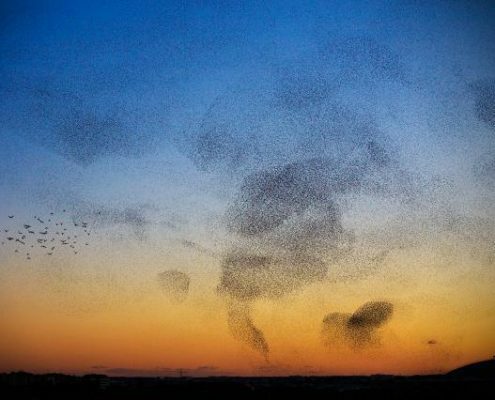 Flocks tend to arrive from the north and northeast. At EUR, we access the roof of the Poste Italiane building on Via Cristoforo Colombo. 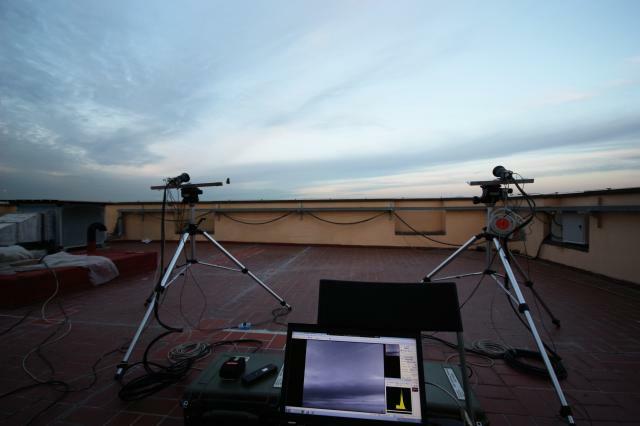 Currently, the stereoscopic setup consists of three IDT M5 cameras each with a maximum resolution of 2288 x 1728 and maximum frame rate of 170 frames per second. These cameras transfer images to a frame grabber housed in a dedicated PC via dual camera link connections. The buffer on the frame grabbers limits a single acquisition to be approximately 2700 frames or nearly 16 seconds at 170 fps. 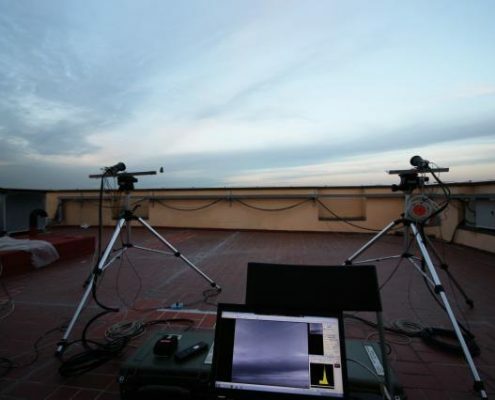 The cameras are controlled using a laptop with interfacing provided by VNC. 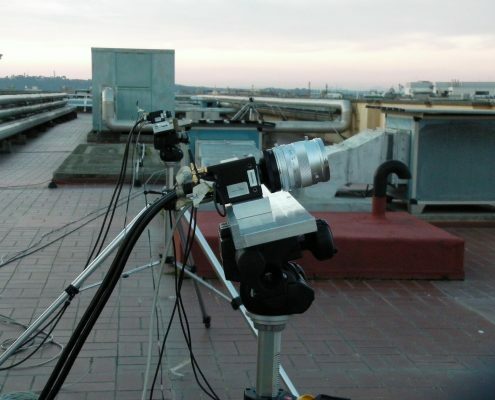 The baseline between two of the cameras is 25 m, with approximately 2 m separating the third camera and the middle camera. This is the key to our setup as it reduces the majority of error sources, with the dominant error being due to the segmentation error of the barycenter of an individual bird. More details about the setup and procedures for capturing images can be found here.